Siri was introduced as one of the standout features of Apple’s flagship smartphone las October, but not everyone was impressed with the voice-controlled assistant. 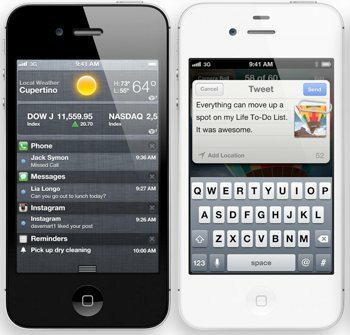 A lawsuit filed in March by New York resident Frank Fazio claimed that Apple's iPhone 4S ads showing Siri doing things like making appointments or looking up guitar chords were fundamentally “false and misleading”. According to Fazio and other plaintiffs in the class-action suit, the technology doesn't come close to performing functions as well or as consistently as Apple advertises it doing. Now Apple has filed a motion to dismiss the complaint along with similar lawsuits, saying they "offer only general descriptions of Apple's advertisements, incomplete summaries of Apple's website materials, and vague descriptions of their alleged -- and highly individualized -- disappointment with Siri." Apple’s recommendation to these people? Buy a different phone. It may sound as if the Cupertino based firm is getting too cocky about its position in the market but in reality it’s just common sense. The company questioned why these people who apparently felt wronged by Apple didn’t just make use of Apple's 30-day return policy, which allows customers to get a full refund with no questions asked, even though plaintiffs claim they became dissatisfied with Siri’s performance “soon after” purchasing their iPhones. For its part, Apple maintains that Siri is "cutting-edge" but the platform is still in beta, something that was stated during Apple's October press conference as well as on the company’s website (not in the TV ads, though).